Interior Design: Amity Worrel & Co. 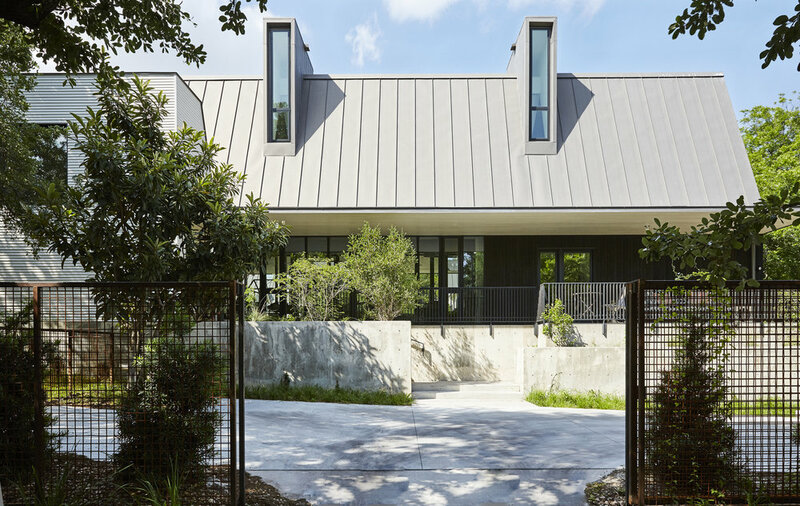 This new build is phase two of a project that involves the restoration and renovation of four existing 1936 Calcasieu Cottages in Travis Heights that formed an early motor court. More information on phase one can be found here. 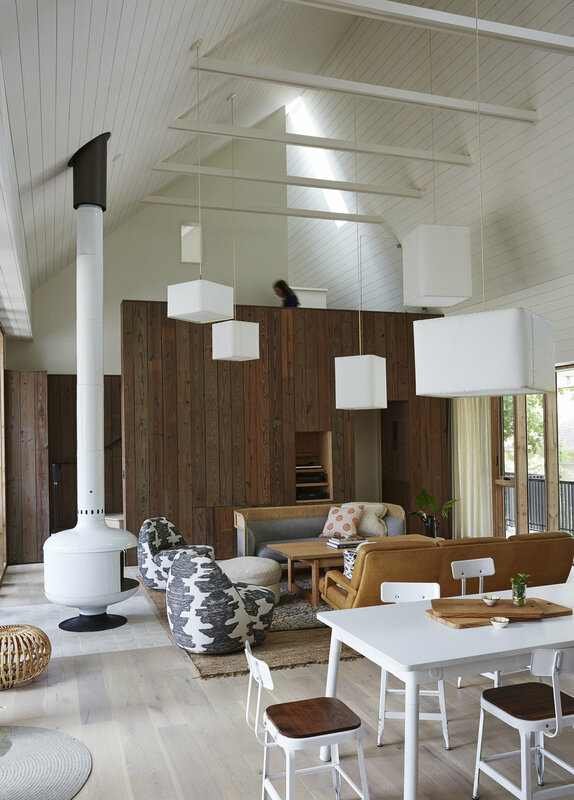 The clients, a writer and an artist, were driven by the desire to preserve the character of the original cottages while creating a house that would accommodate multiple generations of family members and also allow them to work from home. 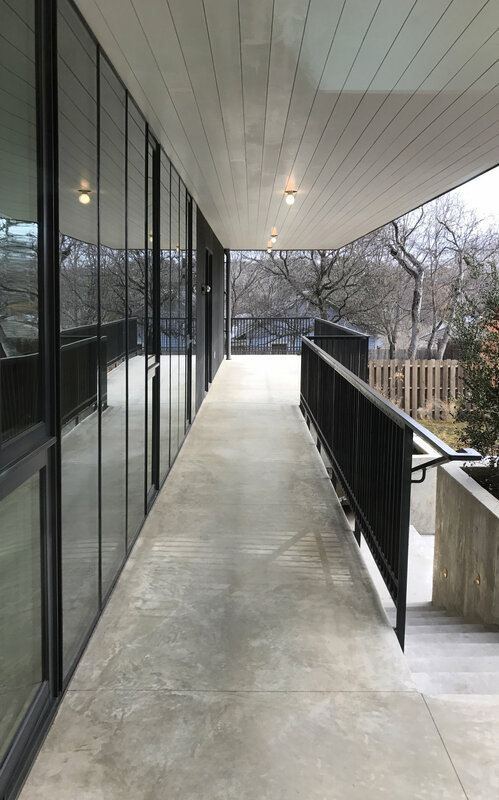 To this end, each of the cottages was dedicated to a specific programmatic function, and two of them were connected to a new two-story building that contains the living and sleeping quarters of the family. The new U-shaped house forms a courtyard together with the four restored and renovated historic motor court cottages. 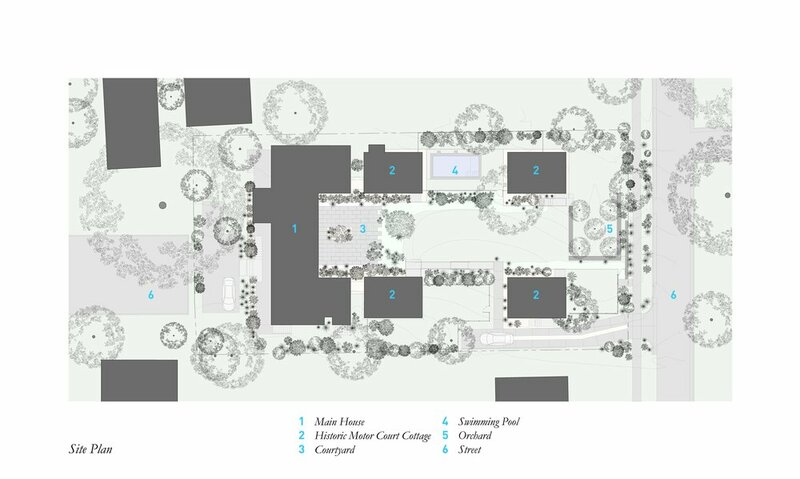 The central motor court parking area was removed from the space between the cottages and a new landscaped courtyard space was added. The south entrance through the shaded porch is covered by a deep overhanging roof. 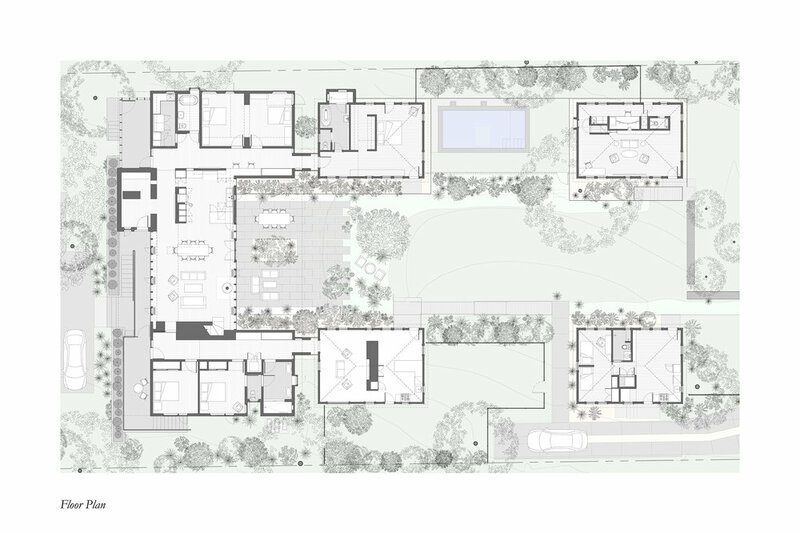 The main living space combines the kitchen, dining and living room which opens onto the central courtyard. 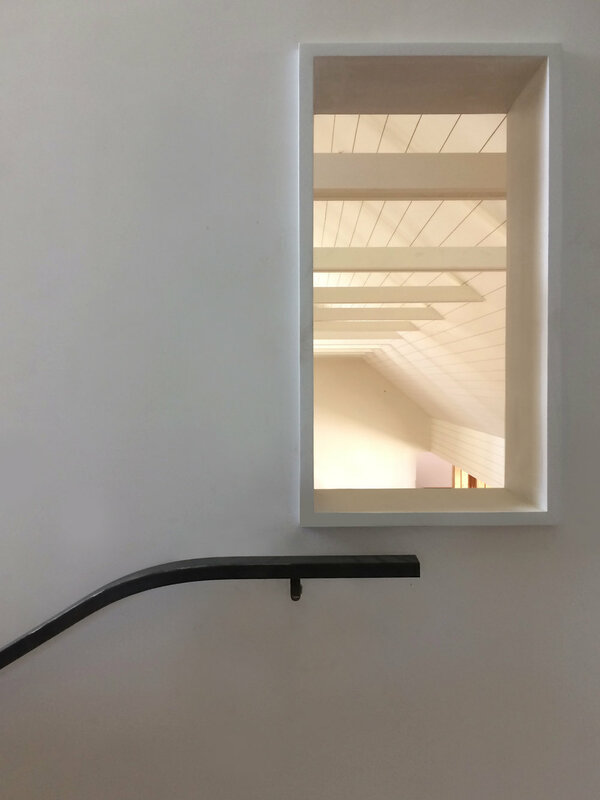 The stair to the studio loft is hidden behind a thick wall clad in shiplap pine boards salvaged from the cottage renovations. 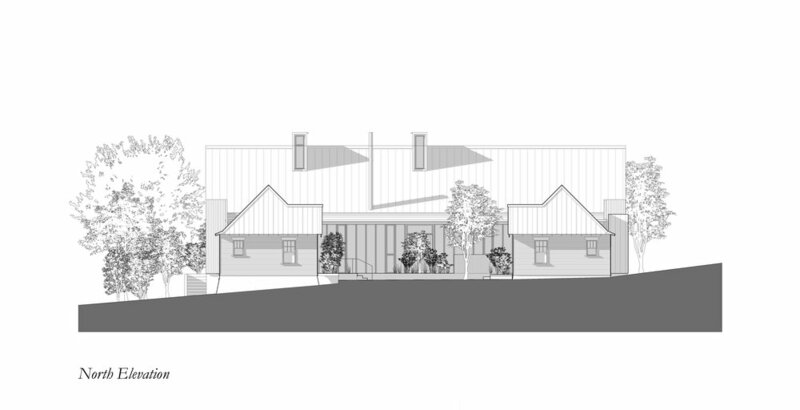 The two tall clerestory dormer windows bring a slice of north and south light into the main living area. 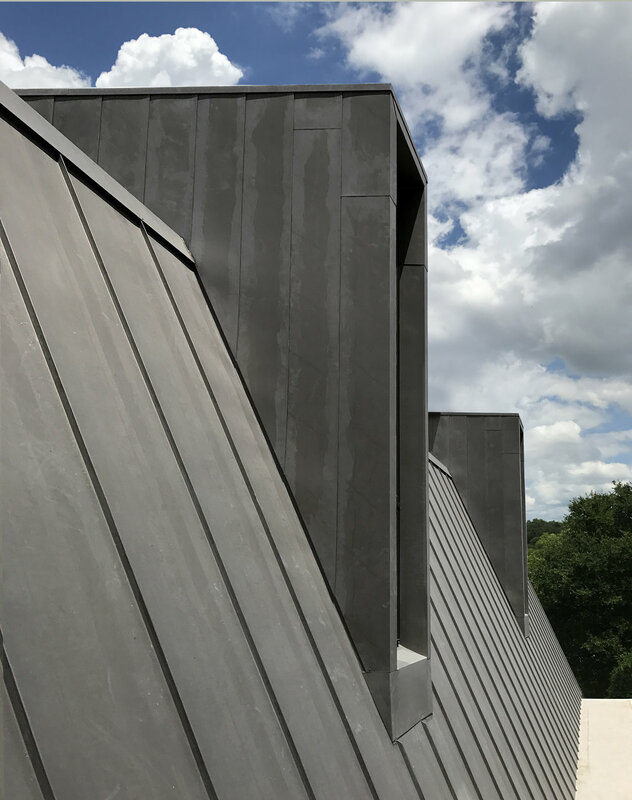 These dormers are visible from outside of the house rising above the roof. Bookshelves are built into the sides of the stairway. Custom light fixtures carved into the walls and ceiling reveal their wooden interiors casting a warm glow. 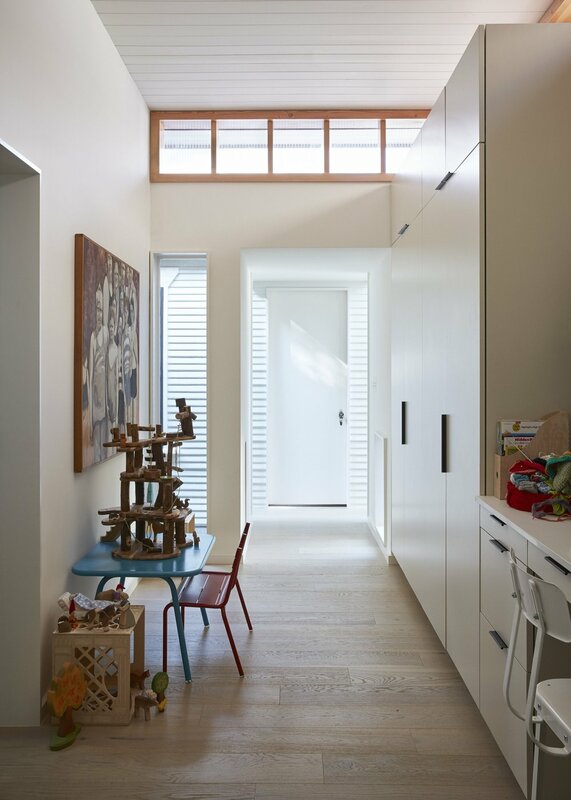 The hallways are functional spaces that include work and play areas for kids along with linen storage. 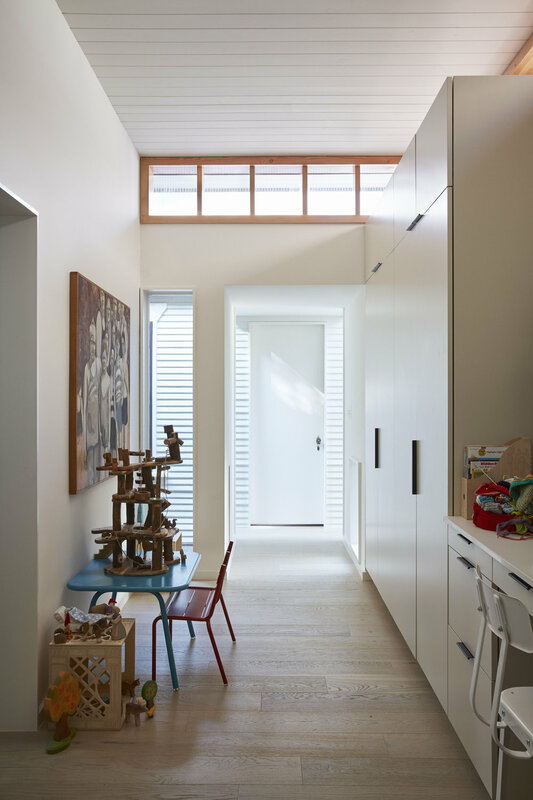 Natural light from the clerestory windows fills the hallways. The buildings open onto a central landscaped courtyard that was once the parking area for the historic motor court. 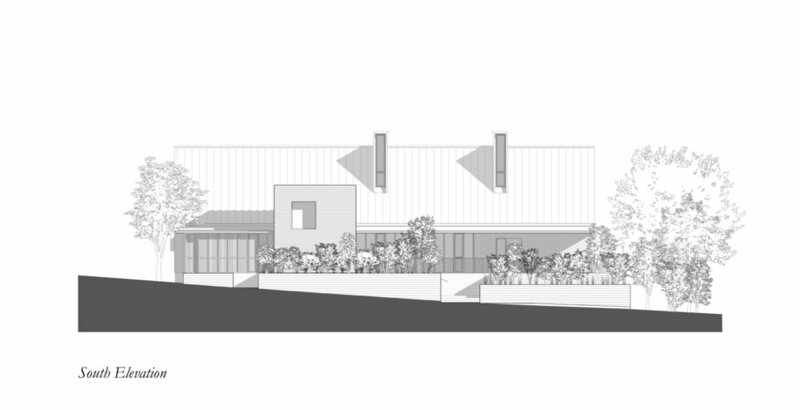 The north terrace is shaded by a broad roof extending out over outdoor space.